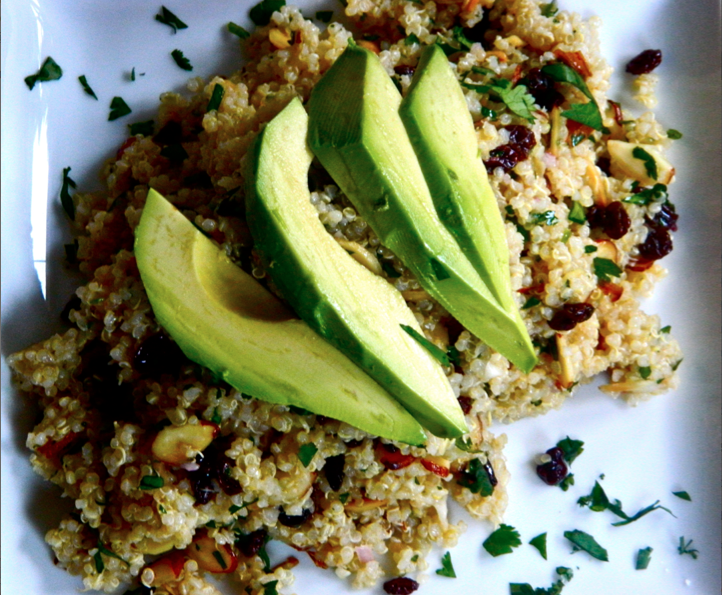 Quinoa is the perfect food to kick off Meatless Mondays. It’s hearty, nourishing, and it happens to be an entirely complete protein in itself. The idea behind Meatless Mondays is not to limit quinoa or veggie consumption to a particular day of the week, but instead to incorporate a plant-based lifestyle into a meal, one full day of the week, or your entire food repertoire. 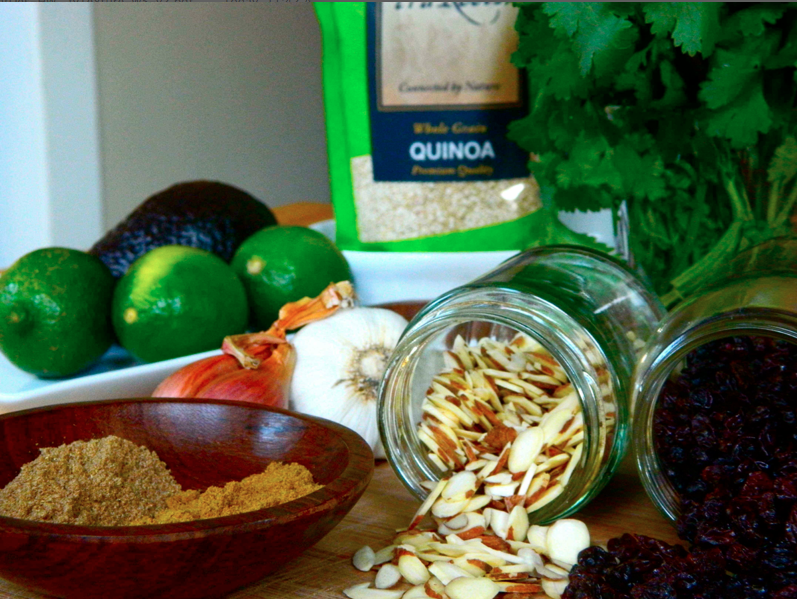 Quinoa by itself can usually be pretty bland, but combining it with this perfectly spiced cumin-lime vinaigrette, slivered almonds, and sweet currants, packs this super-food with an unbelievable amount of flavor. 1. Combine 1 cup quinoa and 2 cups water in a pot and bring to a boil. Turn heat on low, add a pinch of salt, cover and cook for 15 minutes. Let cool for 5 minutes and fluff with fork. 2. 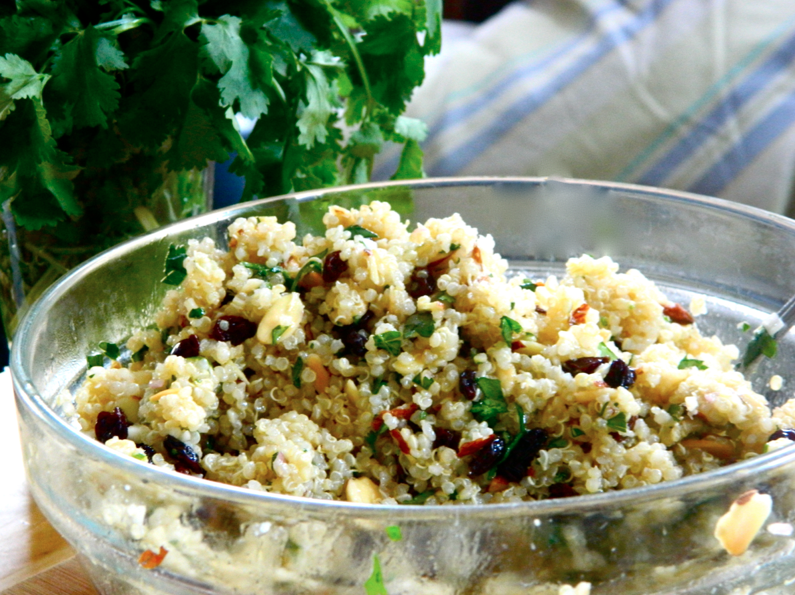 While the quinoa cooks, combine garlic, lime juice, shallot, cumin, coriander and olive oil in a small bowl and mix to combine. Let sit to allow the flavors to meld for 10 minutes. 3. Place ¼ cup slivered almonds in a dry sauté pan and toast on low heat until just golden brown. 4. 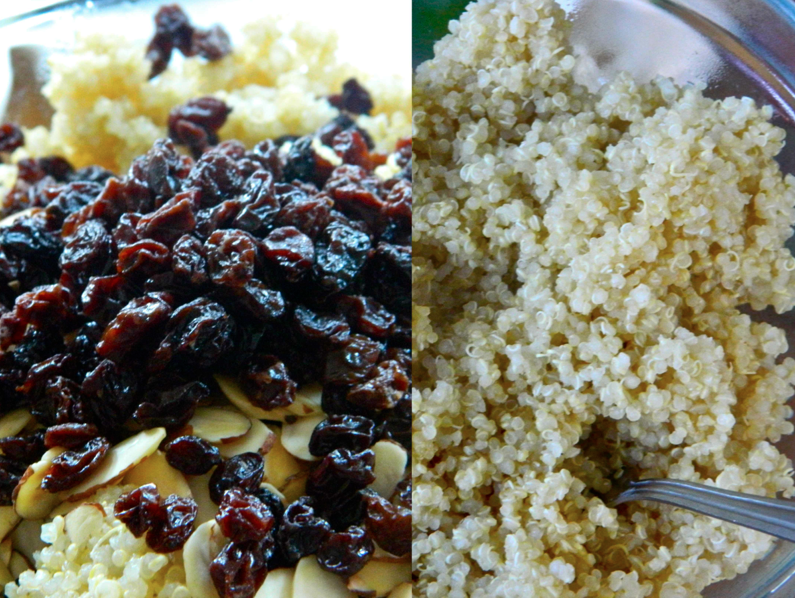 Once the quinoa is finished cooking, place in a mixing bowl and add the almonds and raisins. 5. 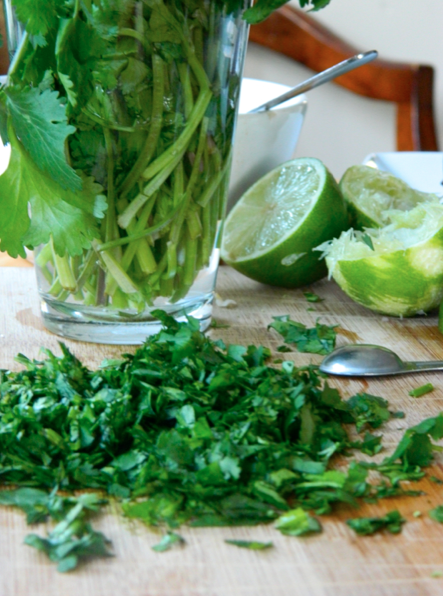 Next, stir the chopped cilantro into the rest of the vinaigrette. 6. Pour dressing over quinoa and mix until well combined—it may seem like a lot of dressing but trust me it will all get absorbed! 7. 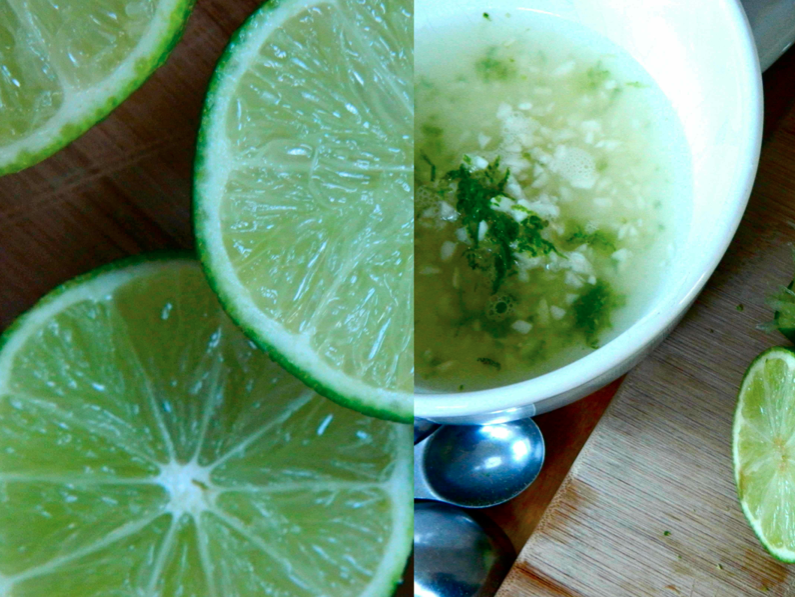 Serve with half of a sliced avocado. Craving more? Check out the rest of Julia’s column here.